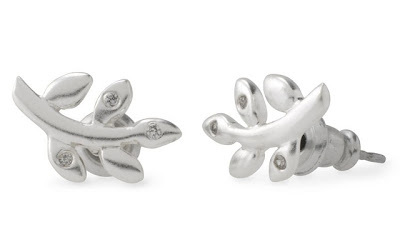 To celebrate President's Day, Stella & Dot is offering up the Laurel Stud earrings for just $5! These are sterling silver plated laurel leaf earrings accented with cubic zirconia stones that normally sell for $19. The laurel has come to be known as a symbol of victory. What a wonderful gift this would make for anyone who has triumphed in some way, whether in their professional, academic, athletic, or personal life. To get your Laurel Studs for just $5, place an order on StellaDot.com totaling $100 or more by 2/18.